Katie Waissel's brunette pixie crop: love or hate? Katie Waissel’s brunette pixie crop: love or hate? Her singing and style choices are dividing opinion week on week, but just what do you make of her striking new 'do? Who’s that girl? 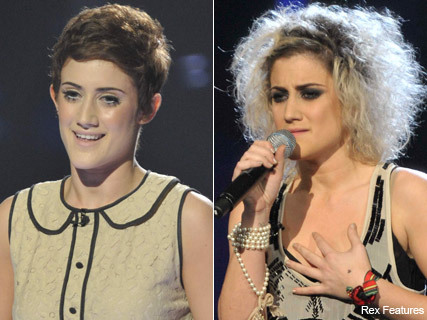 There was a brand new Katie Waissel on our screens this weekend, as the X Factor starlet underwent a dramatic makeover. But what do YOU think of her striking new pixie crop? CATCH UP WITH ALL THE WEEKEND’S X FACTOR FASHION HERE! She’s been dividing opinion week on week with her emotional singing style and quirky styling choices, but Katie Waissel took her love of transformations one step further on Saturday night, stepping out with this drastic new cut. Gone were the wiry blonde locks we’d all grown accustomed to, and in their place, an elfin pixie crop, in a warm brunette hue. In keeping with The Beatles themed week, and the swinging Sixties styling on show, Miss Waissel seemed to be channelling her inner Edie Sedgwick, or Twiggy, with her soft crop. Or perhaps she was inspired by more current devotee of the short pixie style, Emma Watson – who she came face-to-face with at the Harry Potter and the Deathly Hallows world premiere recently. 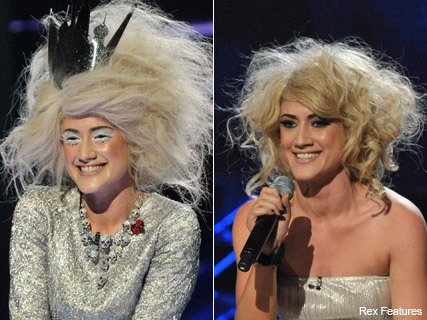 Having battled with her damaged locks over recent weeks, Katie looks to have been growing out her dark roots in preparation for such a cut – covering up with a series of wigs and headpieces in recent X Factor shows. But what do you make of her new look? And more importantly, did it have anything to do with her escaping being in the bottom two this weekend? Let us know your thoughts in the comments box below!